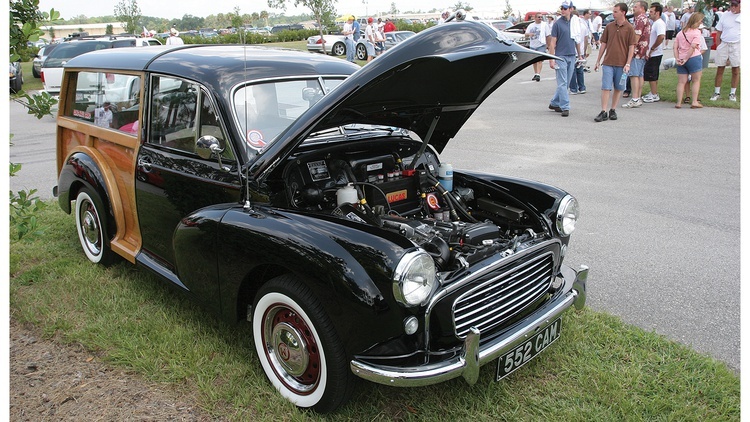 Participants in the 2006 Hot Rod Power Tour were amazed to find a little British Morris Minor Traveller hidden among the lead sleds and ratrods. As the weeklong tour progressed through brutal summer heat, those observers turned downright envious: The little woody swallowed the interstate at 75 mph, cruise control on, driver and passenger relaxing in air-conditioned comfort as they enjoyed their favorite tunes on a custom sound system. Maybe the 51-year-old economy jitney didn’t vie for top honors at the drag strip or on the dyno, but it drew admiring crowds at every stop. Some rodders—despite the lure of more exotic, big-bucks creations—adopted the Morris as an unofficial mascot. After the tour, when the Traveller finally wandered back to its South Carolina home, it had averaged more than 33 miles per gallon over the 3122-mile trip. Take that, big blocks. To prove this adventure was no fluke, the next year the Traveller made a successful round trip to the British Invasion in Stowe, Vermont. And last fall—repaired and improved after an unfortunate encounter with a flatbed truck—the well-traveled Traveller again made the long trek to Stowe. This time, accessorized with a roof rack loaded with vintage sporting equipment, it pulled a wood-bodied, one-wheeled Allstate utility trailer. Once in Vermont, the intrepid Traveller conquered twisty roads, mountain inclines and sheets of rain. The car wowed crowds and gained celebrity status as participants dubbed it “the talk of the show.” On this trip, the Morris covered 2500 miles with zero problems, including one 750-mile day. It delivered between 33 and 35 mpg. Is there anything this wonder woody can’t do? 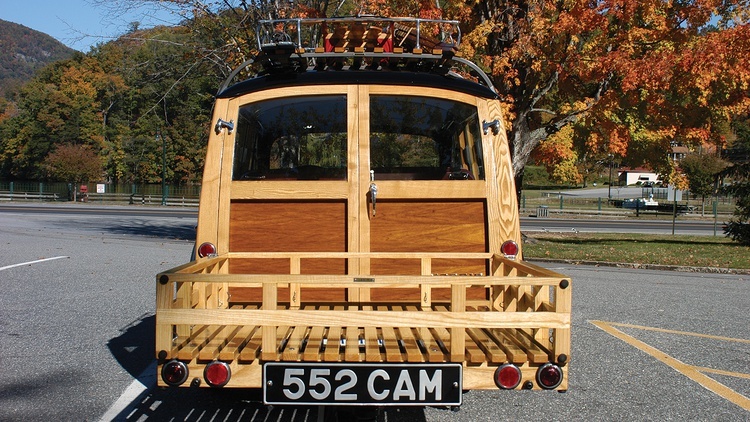 Is there more to this varnished wagon than meets the eye? As it turns out, some of the car’s best traits are hidden from view. Under its modest Morris skin lies an engineering marvel—elegantly fabricated, tidily packaged and road tested. The body might not be an old-school staple, but this Morris’s engine certainly is: Toyota’s twin-cam 4A-GE. Eager to cash in on the demand for affordable cars after World War II, Morris launched its Minor at London’s Earl’s Court Motor Show in September 1948. Alec Issigonis, who later gained fame with his Mini, led the Minor’s design team. 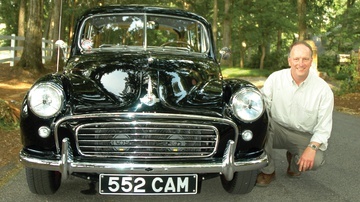 The company offered the original Morris Minor series from 1948 through 1953. Three types were available—two- and four-door saloons and a two-door convertible—and each was powered by a 918cc flathead four-cylinder engine that delivered 27.5 horsepower and 40-plus mpg. At 1700 pounds, the compact Minor handled well and featured a roomy and comfortable interior. It wasn’t a speedster, as it topped out at just under 60 mph. But postwar drivers on tight budgets were looking for value, and they liked the car’s jaunty styling and simple mechanics. From its introduction, the Minor sold well. After its merger with the British Motor Corporation in 1952, Morris updated the Minor, adding Austin’s 803cc overhead valve four, which developed 30 horsepower. Performance modestly improved, although with a leisurely zero-to-50 run of 28.6 seconds, this Series II was still not an enthusiast’s car. 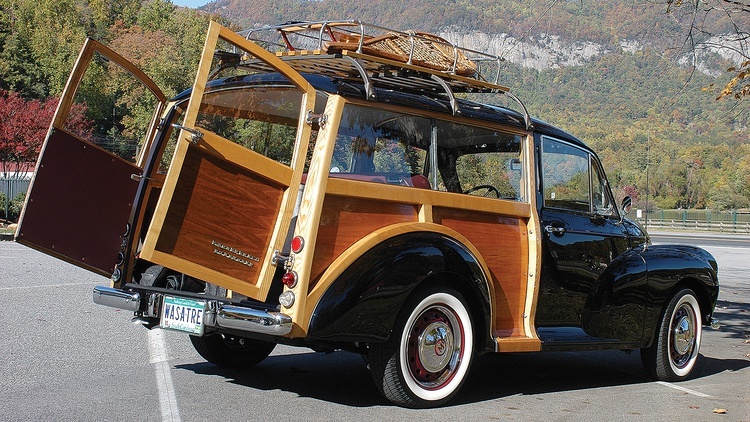 Seeking to increase appeal, Morris expanded the line to include a wood-framed estate wagon, a panel wagon and a pickup truck. 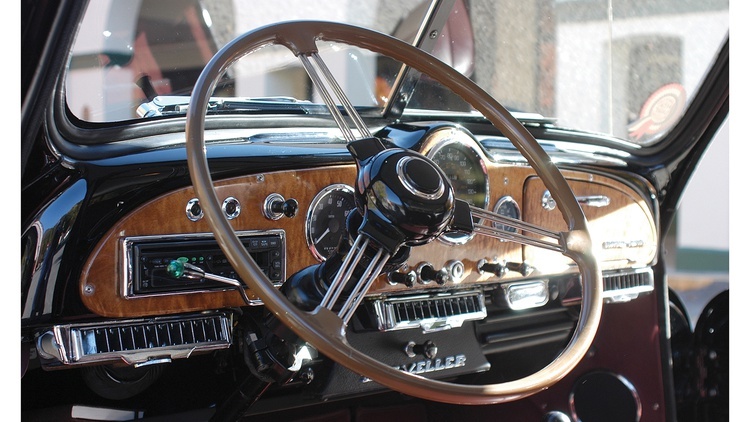 The company continued to introduce improvements, including a modified grille and a new dashboard in 1954. BMC debuted the Minor 1000 in September of ’56 for the 1957 model year, and it featured Austin’s 948cc engine along with refreshed styling. A curved, one-piece windscreen replaced the split version, and the rear window was enlarged. In the U.S., the swing-out trafficators were replaced by fender-mounted turn signals. During the 1000’s long production run, the car received many upgrades inside and out, including more power from BMC’s 1098cc engine. In 1961, the popular Minor became the first British car to sell more than a million units, and when production finally ceased in 1971, more than 1.5 million copies of this humble but effective transporter had driven off lots around the world. To avoid the cost of complying with government safety and smog regulations, BMC stopped importing the Minor to the U.S. after the 1967 model year. 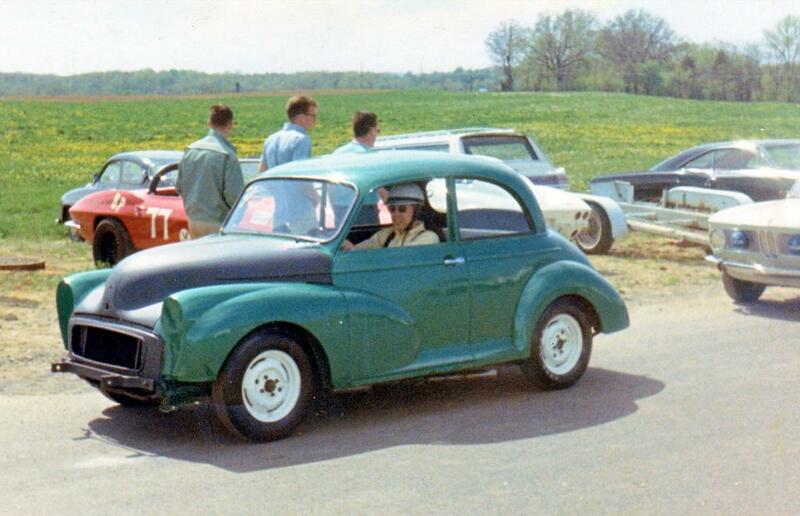 Still, about 65,000 Morris Minors were shipped to the U.S. between 1949 and 1967. The unmistakably British Traveller estate wagon featured a distinctive ash frame around the rear bodywork. This model shared its front section, rear floor pan and running gear with the Minor saloons and was assembled in the Morris plant at Cowley. These rolling sections were then shipped to the MG factory at Abingdon, where woodshop craftsmen assembled the rear sections. In addition to looking good, the varnished side frames served as structural supports as they were bolted to the rear floor pan. The front section’s steel roof ended just above the door pillars, where it joined the rear section’s aluminum top. The top was nailed to the wood framework along the sides and over the side-hinged rear doors. Painted inserts finished the sides and rear doors. While the wood timbers added appeal and charm, they also increased cost and maintenance. Many Travellers fell prey to wood rot and damage. Zach Merrill’s Series II Traveller started its first life in 1955 when it left the Morris factory at Cowley. It began its second life in 1999 when the Greenville, S.C., Morris enthusiast rescued this split-screen model—comatose for 31 years—from a Missouri barn. It was wrecked, rusted, and lacked an engine and driveline. Despite these issues, to Zach this purchase made perfect sense: You see, he already had the dashboard. Twenty-one years earlier, Zach had crafted a custom Morris dash in a college woodworking class. He spent considerable effort on the project and received an A for his work. Ever since, with appropriate time out for his marriage to Libby and the birth of his daughter Allison, Zach had been waiting for the right Traveller to receive the dash. He had enjoyed many other cars, including a few Minors, but a decent Traveller remained his holy grail. To understand why anyone would lavish such diligence and devotion on a Minor, you need to learn about Zach Merrill. A car enthusiast down to his very DNA, he likes to say he was raised in a junkyard. In fact, his dad owned a junkyard as well as a car dealership. Young Zach enjoyed the run of both, playing with cars, motorcycles, trucks and tractors when he wasn’t crawling through interesting piles of junk. At age seven, Zach had already decided that a Morris was the car he wanted because he loved to ride in his older brother’s ’57 convertible. While most of us were attaching baseball cards to our bike spokes, Zach was building cars. By his 16th birthday, he owned three motorcycles, two cars and a dune buggy. With a childhood like that, it’s not surprising that he developed an uncanny ability to analyze how mechanical things work, along with the skills to design and fabricate whatever he needs. While he’s not a formally trained engineer, he is one of only eight ASE Certified Technicians in the country who holds all of the available 56 certifications. Zach’s Morris received the full force of that training, and after about five years he created a deceptively tame-looking Morris Traveller. “I wanted to create a vintage-looking woody that retained its period British charm and delivered modern comfort and performance,” he explains. “My goal was to alter the car only within the limits of the body shell and suspension architecture. I wanted it to represent the old-school ‘fabricate from scratch’ or ‘adapt from another car’ hotrod philosophy.” And since he was on a budget, he wanted to do virtually all the work himself. Before he could add the hotrod parts, Zach had to first breathe life into the original Morris body. It required nearly a full restoration. Some of the damaged panels were replaced, while others had to be reworked since spares are hard to find. Zach also replaced the rusted rear floor pan and the wooden framework, using new wood and his stash of Traveller parts. With the exception of the gleaming two-part paint and the stitching of the leather seats, Zach did all the work. Once the body was completed to his satisfaction, Zach wanted still more “hey, look at me!” value. He added a roof rack, which he loads with seasonal props, including surfboards in the summer and a sled, skis and snowshoes in the winter. Next he added the one-wheeled wooden trailer, which he also finished to a high degree. The tires are another personal touch. Whitewall radials—custom created by Diamondback Classics by vulcanizing inch-and-a-half whitewalls on a set of Michelins—gave Zach the hotrod look he wanted. Inside, his one-off dash bristles with today’s conveniences while retaining yesterday’s charm. The in-dash a/c-heater-defroster is by Southern Air, and the control panel is a Radio Shack experimenter box fitted with British car switches and a Smith’s heater emblem. The under-dash vents came from a ’64 Chrysler. Zach’s numerous trial fittings paid off, and the system looks quite at home. For comfort and safety, leather seats offer adjustable lumbar support and rake as well as three-point inertia restraints. Even the foot pedal placement has been improved for ease of use. Zach had rejected many powerplant options before he popped the hood on a friend’s Toyota Corolla GT-S. There was the answer. Then he relied on his junkyard experience to select the best version of the popular 4A-GE engine, along with the accessory drives and mounting configurations that would squeeze into his tiny, unaltered engine bay. Hanging air conditioning on the engine added to the challenge and complexity, but it was a must to keep Libby happy. Zach first installed a 4A-GE sourced from a 1991 Geo Prizm GSi, as this version features a higher compression ratio and stronger block than the one found in the rear-drive, AE86-chassis Corolla. One small technical issue existed: Thanks to different port sizes, the intake manifold from the earlier rear-drive 4A-GE doesn’t bolt to the front-drive 4A-GE cylinder head. Zach used an adapter to make the installation work, but he was disappointed with the power in the upper rev range. He then started building a new engine, this one based on a Japanese-market, front-drive 4A-GE longblock—the same basic engine as the one fitted to the Geo. 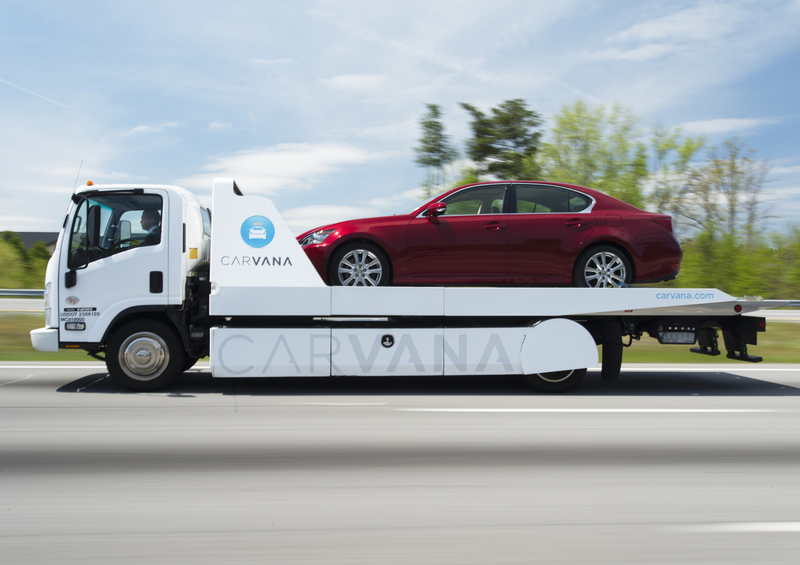 This move would minimize the car’s downtime. 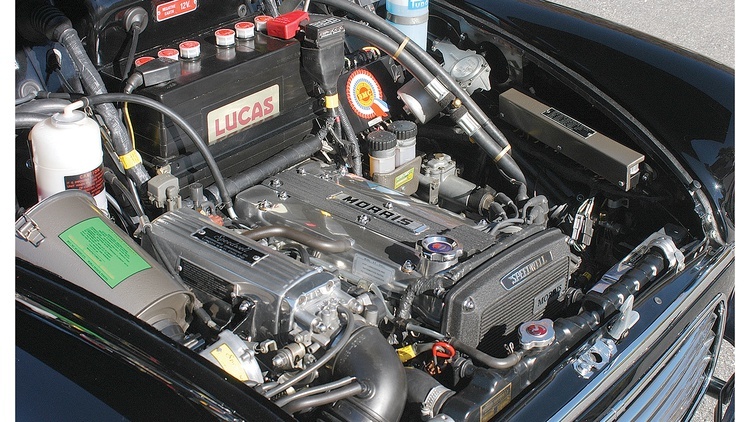 Instead of again using the intake manifold adaptor, however, he modified the front-drive intake manifold to reposition the throttle body on the front of the engine. The new engine received Toda cams and adjustable cam gears. Zach also ported the head, installed a lightened flywheel, and balanced the internal parts. The fuel management and ignition systems are OEM Toyota, and the 2-inch exhaust is routed through one baffled muffler and two straight-through resonators. On the dyno, this combination yields 112 horsepower and 90 lb.-ft. of torque to the rear wheels, a hefty upgrade from the Minor’s original 30 ponies. The same 1985 Corolla GT-S that donated its exhaust manifold also gave up its five-speed transmission, 4.30:1 differential and rear disc brakes to the project. Zach retained the steering from the Minor but modified the suspension with KYB tube shocks front and rear, horizontally mounted axle-locating quad shocks in the rear, Austin Marina 1800 front torsion bars, custom six-leaf rear springs, a one-inch Addco front anti-roll bar and a Corolla SR5 rear bar. After months and miles of tuning, refining and tweaking to reduce noise, vibration and harshness, he was finally pleased. Did we mention this man obsesses over details? Under the hood, the engine installation looks like it came from the factory—but which one? An observer will find parts from Jag, Toyota, BMW and Triumph, among others, along with various authentic-looking plates and badges. “All the badges are bogus,” the owner admits with a grin. 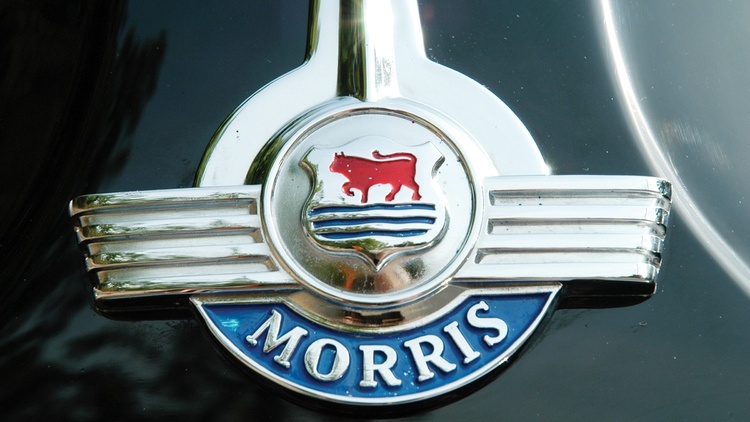 In fact, all mentions of the word Toyota have been removed and replaced with Morris logos. The car even sports a custom billet Morris oil filler cap. Zach says the Traveller is the most engaging car he’s ever driven, and this appeal bridges all gaps: young, old, men, women. Everyone from grizzled Harley guys to proper Brits seems to love this car. The Merrills say driving the car is like taking a frisky pup out for a walk. Curious folks soon crowd around. They grin and ask questions, and they want to pet it. Zach and Libby have learned to deal with 30-minute gas stops as they hear the stories. “This car loves a party and knows how to show you a good time,” Zach adds. The car isn’t a homebody, either. Throughout their timbered Traveller’s travels—some 24,000 fun-filled miles so far—the Merrills have learned three valuable lessons. First, it’s almost impossible to straddle road kill when you’re pulling a one-wheeled trailer. Second, you must be highly cautious of where you park your wooden car, because unseen lawn sprinklers will wreak overnight havoc. And finally, always, always keep a watchful eye out for termites. Twist the key in the center of this car’s dazzling dash, and the Toyota twin-cam springs to life. Zach Merrill’s Morris Minor woody idles smoothly and responds quickly. Like everything else on this machine, the exhaust has been tweaked for the best results and sounds mellow with no annoying rasp. The clutch feels light and linear. The long gear lever slips easily into position. The 16-inch steering wheel seems high and huge at first, but the operation is direct, responsive and requires little effort, even at low speeds. This Traveller goes where you point it and turns on its tail. Once rolling, the boosted four-wheel discs haul it down without fuss. Twisty roads don’t upset it; the car simply corners without roll and rides with comfort while the tuned suspension soaks up the bumps. And because of all the effective soundproofing, you can’t even hear the timbers creak. Despite urgings from the owner, we didn’t flog this car as hard as he wanted us to. 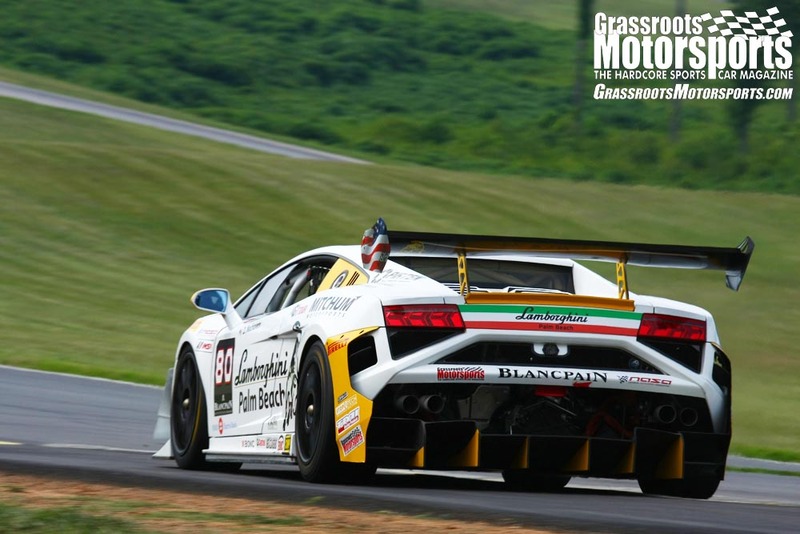 We can testify that while it’s happy and docile at low speeds, it springs to life above 5000 rpm and pulls strongly to the 7500 rpm redline. Zach hasn’t been overly kind to the Morris; he reports that there’s no axle hop under harsh acceleration and only mild understeer in the turns. “It’s happy to take a caning,” he adds. This Traveller is simply a pleasure to drive—a balanced blend of vintage and modern. Whether conditions are cold or hot, the engine management system makes sure there’s no fuss. The car is plenty stout and quite capable of mixing it up with the big dogs. There is one problem, however. 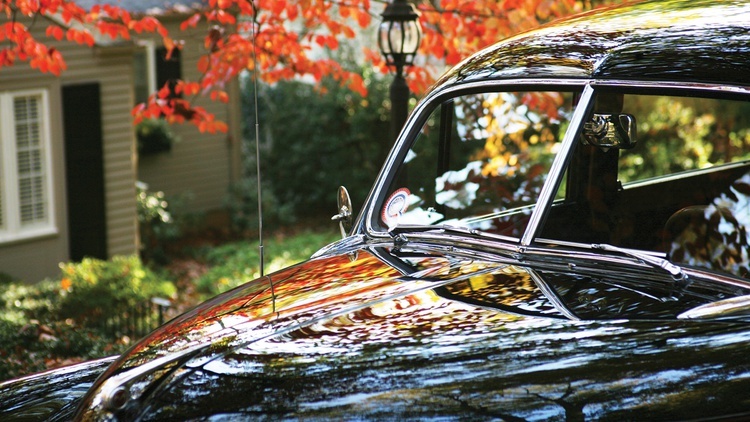 This car exudes period charm, and its driver must deal with celebrity-like attention from other motorists. They honk, wave and dart closer for a better look. But you can actually turn this to your advantage. 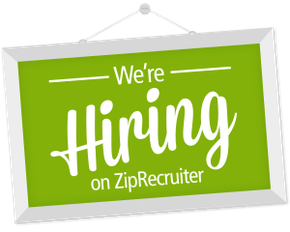 Trying to make a turn in heavy traffic? No problem. Flip out your trafficator and rows of idling cars will magically part. Drivers will actually smile and wave as they stop to let you squeeze in. Try that in your daily driver. 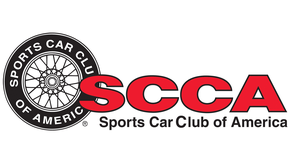 Join Free Join our community to easily find more Morris and Toyota articles. I’ve loved Travellers since I was a young boy. In fact I owned one at age 16. I paid only $15 for it but had to give the newish battery to the owners to get it that cheap. I bought it not running and without a battery so I had a buddy tow me home. Brakes? I don’t need no brakes I’ll just put it in gear and let the compression stop me. Did you know that a car with a generator will run without a battery? I didn’t. But apparently they do because about 4 stops later I couldn’t stop when the engine started. ( I’d left the key in the on position) so I ran into my buddies pickup truck. Luckily he had a big wooden timber as a rear bumper and it was bumper height of a Morris Minor. That was just the beginning of my adventures with that Woodie. Eventually we blew up the old 948 throwing a rod out the side of the block. Miles from home in the early hours of the morning I just kept driving on the freeway at reduced rpm but throttle flat to the floor. I’d love to tell you it got me home but it lacked a block and a half when it finally ground to a halt. I saw this Morris in 2013 at the Power Tour. It was wearing Tweels. Really cool car. Where did they get Tweels? I didn't think those were actually available for sale. I would love to have a Morris Minor 1000 again. Only this time it would have a supercharged Zetec instead of a built 1275. That’s a neat build and probably goes pretty good. That being a lot of engines in a minor would make it a rocket compared to stock lol. Very nice ride. Always had a strange fascination for offbeat vehicles. This particular Woody gives me a.....well you know! That car has been to our British car show at Furman a few times. It is extremely well done.